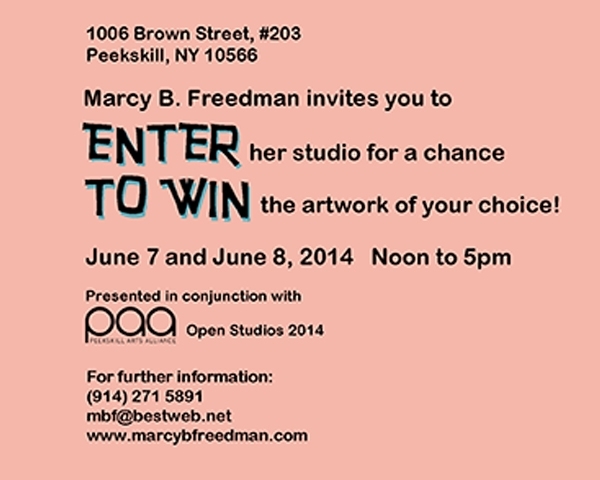 In celebration of my 17th year as a participant in Peekskill’s Open Studio weekend, I offered members of the public a chance to win one of my artworks. 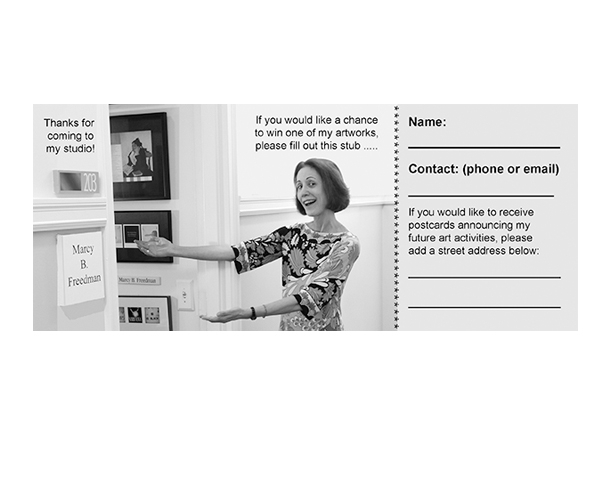 All visitors to my studio were offered a free raffle ticket. The only catch was this: they were supposed to tell me which work they would select and why. As I expected, many people were perplexed and unable to make a swift decision among the dozens and dozens of works on display. On the other hand, there were some people who knew right away which work they wanted to own, and I was surprised to discover that the same two works were selected by many, many people! Both of these “favorites” were collages that included appropriated images by Picasso. 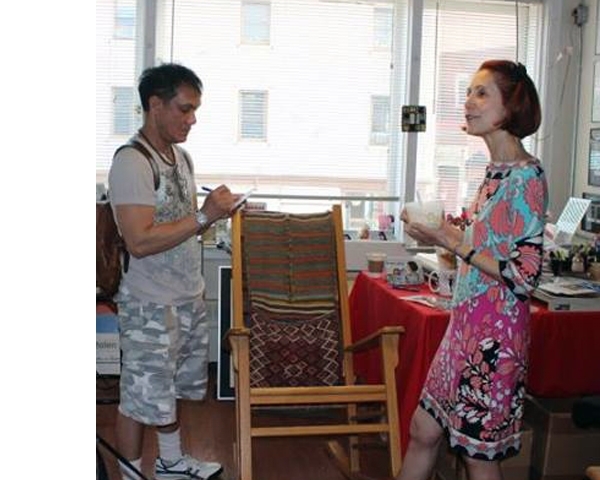 In the end, the winner of the free artwork was a young woman — recent art school graduate — who had spent a lot of time in my studio, looking intently at my art. She will return soon to finalize her selection.